you can also play a role in getting a program started in your area! Are you interested in becoming a volunteer? Contact us today at info@paranb.ca or 1.866.462.9555. 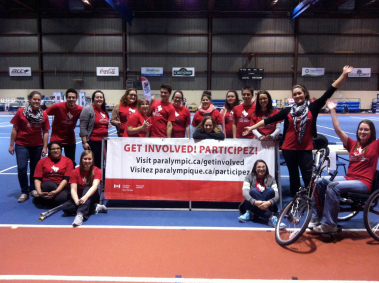 “Oh, the things you can find if you don’t stay behind!” – Dr. Seuss Université de Moncton kinesiology student volunteers at the first ever NB Parasport Festival!